Call today for award-winning podiatrist Northwest Indiana foot and ankle care! and “Best of the Region” Nine Times! That’s right, our Northwest Indiana podiatry practice — foot and ankle doctor practice — of Crown Point won the NWI Times and Post-Tribune awards for “Best Podiatrist” and “Best of the Region” an astounding nine times! In our humble opinion, we believe these newspapers are right: our foot and ankle doctors ARE the best (and we have some wonderful patient reviews you can read by clicking here). Our award-winning Northwest Indiana podiatrist practice began providing treatment of toe, heel, foot and ankle pain and problems in 1992 – over 25 years ago in Gary, Indiana! We welcome you to explore our podiatry website and learn about our friendly State of Indiana licensed podiatrists or our toe, foot and ankle doctors and our friendly team members (click here), and our many heel pain, foot pain, toe pain and ankle pain treatment options – from conservative care to foot or ankle surgery. Once you get to know our Crown Point / Northwest Indiana podiatry practice, we believe you’ll see our goal is to work with you to alleviate heel pain, foot pain, toe pain and ankle pain and most importantly, create the best experience possible for podiatrist (foot, toe and ankle doctor) treatment (or foot or ankle surgery) in Northwest Indiana — and even beyond! Dr. Nirenberg or “Dr. 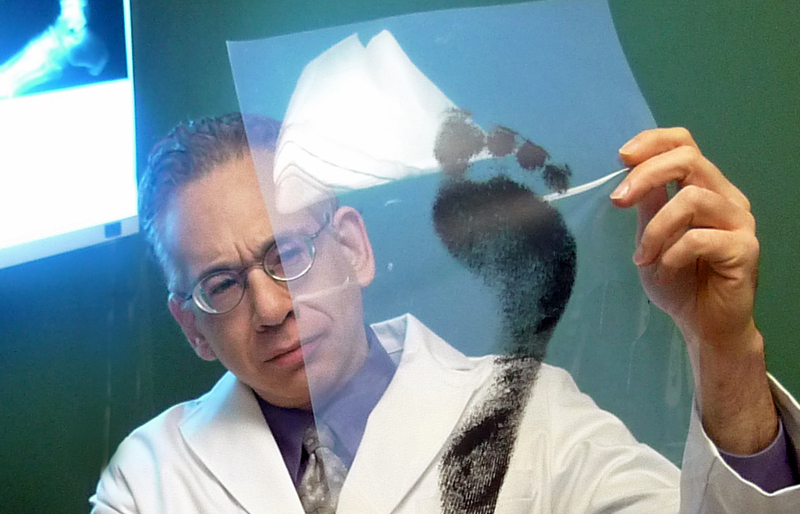 Mike” as patients call him, has assisted law enforcement, including the FBI, on homicide cases involving foot-related evidence (such as footprints) and gait analysis and his assistance has helped convict murders. 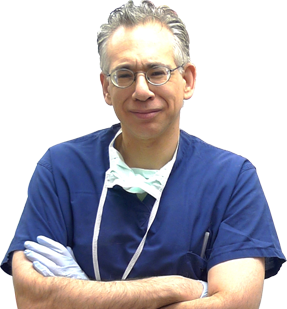 His foot and ankle expertise has been sought by numerous media sources, including USA Today, the Wall Street Journal, WBBM radio and FOX News (click here to read news stories). Adults, children, teenagers and older adults from Northwest Indiana (and farther!) 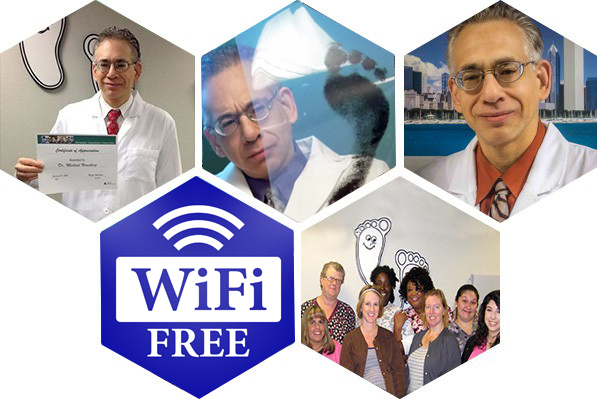 travel to our award-winning conveniently located Crown Point podiatrist Northwest Indiana foot and ankle practice.Our podiatry practice is conveniently located with ample parking on Broadway in Crown Point, just a block from Merrillville, Indiana — and we have Free Wifi! If you need an Indiana foot or ankle doctor or podiatrist in Schererville, in Munster, in Merrillville, or a podiatrist in Dyer, podiatrist in Valparaiso, in East Chicago, in Portage, in Winfield, or a podiatrist in Gary, or a podiatrist in Highland, or a podiatrist in Cedar Lake, or a podiatrist in St. John, in Michigan City, in Lowell, in Hobart, in Wheatfield, or a podiatrist in Hammond, in DeMotte, or a podiatrist in Griffith, in Lafayette, or in Chesterton or even in La Porte, our foot and ankle treatment is worth the drive! (Click Here for directions). Or Google top podiatrists near me or top podiatrist in Northwest Indiana and we are sure you will find us! Whether you have ankle pain, a bunion, hammertoe or foot or toe arthritis, our podiatrist Northwest Indiana office’s foot and ankle doctors strive to alleviate your toe, heel, foot and ankle pain and foot & ankle problems as quickly as possible. Our foot and ankle doctors are also superb foot and ankle surgeons, if you need toe, foot or ankle surgery treatment to alleviate your problem. Our podiatrist office is a pleasant, friendly atmosphere where our podiatrists and staff try to make you feel comfortable (please see our photos section). Our podiatrist Northwest Indiana foot and ankle doctor practice of Crown Point foot and ankle surgeons are trained in all aspects of heel, foot and ankle treatment and surgery, and there are few heel, toe, foot or ankle problems (podiatry problems) they cannot treat. Our award-winning podiatrist Northwest Indiana office offers you a Saturday appointment (our podiatry office is open every other Saturday). More than being voted “Best Podiatrist,” our podiatrist Northwest Indiana (and Crown Point) podiatry practice offers you superb, state-of-the-art expert (and friendly!) heel, foot and ankle treatment, including digital x-rays (less radiation and better quality), laser surgery and endoscopic heel pain relief. Whether you have an ankle sprain, nerve pain (neuropathy), foot drop (drop foot) or a foot fracture or a toenail problem, we have a foot and ankle doctor who can provide you expert treatment for your heel, foot or ankle pain. If you are searching for a podiatrist “near me” visit us! We may not be the nearest “near me” podiatrist but we are worth driving a bit more. We are easy to find and even though not the nearest “near me” podiatrist, we will do our best to help you. This is the philosophy of our Northwest Indiana podiatrists. Your heel pain, foot pain and ankle pain and foot and ankle problems matter, but so do you – as a person. Each podiatrist in our Northwest Indiana practice will your heel, foot and ankle pain and problems with superb, state-of-the-art care and importantly, each podiatrist and friendly team member will also address your special needs and unique concerns: more than your feet, YOU matter! Our caring podiatrist office sees people from all of Northwest Indiana. If you need a podiatrist in Northwest Indiana, including Porter and Lake County, or a podiatrist in Schererville, or a podiatrist in Valparaiso, in Merrillville, in Dyer, in Winfield, or a podiatrist in Highland, in Chesterton, in Gary, in St. John, in Kouts, in Cedar Lake, in Griffith, in Lowell, in Wheatfield, in Hammond, in Munster, in Lafayette, in Roselawn, in Hobart, in Michigan City, in Portage, in East Chicago, Kouts, or in Valparaiso or in La Porte our podiatrist office is nearby, convenient and worth the drive! Call us today at (219)663-2273 to arrange an appointment with one of our friendly, expert foot doctors! Our podiatrist Northwest Indiana office goes about treating patients quite differently — your podiatrist will work closely with you to listen to your concerns and get you well. For example, if you have an outpatient heel, foot or ankle surgery your foot doctor will personally call you the next day. This warm, personal attention and caring we believe sets us apart. Whether you need laser surgery or have an ingrown toenail, heel pain, flat feet, arthritis, gout, a hammertoe, neuroma, diabetic foot infection, neuropathy or just about any other foot or ankle problem, we can help! For a more personal look at our podiatrists and our team click here, read reviews here or visit our Facebook page. If you need support for your foot or ankle problem, our podiatrist will fit your foot or ankle with custom-made orthotics (arch supports) or a custom-made brace. Our award-winning Northwest Indiana podiatrist office is located in Crown Point and if you need urgent foot treatment or urgent ankle treatment call us now – (219) 663-2273 – and we will work to try to get a podiatry appointment fast. If you need a podiatrist in Merrillville, in Lowell, in Schererville, in Munster, in Dyer, in Valparaiso, in East Chicago, in Portage, in Winfield, in Gary, in Highland, in Cedar Lake, in St. John, in Michigan City, in Hobart, in Wheatfield, in Hammond, in DeMotte, in Griffith, in Rensselaer, in Roselawn, in Lafayette, in Kouts, La Porte or in Chesterton, we are worth the drive! Call us today! People with foot problems or ankle pain or problems see our foot and ankle doctors from all of Northwest Indiana. If you need a podiatrist (foot and ankle doctor) in Northwest Indiana or in Valparaiso, in Dyer, in Crown Point, in Merrillville, in Schererville, in Griffith, in Gary, in St. John, in Portage, in Schererville, in Highland, in Lowell, in Chesterton, in Cedar Lake, in Wheatfield, in Kouts, in Hobart, in Hammond, in Munster, in Lafayette, in Michigan City, in Kouts, in East Chicago or in Valparaiso, Indiana, La Porte, or Chicago, our foot and ankle doctors are worth the drive! Call now or make an appointment online by CLICKING HERE! Our podiatrist — foot and ankle doctor — office provides treatment for all of Northwest Indiana (Lake County and Porter County). If you need a foot or ankle doctor or podiatrist in Valparaiso, Indiana, or a podiatrist in Merrillville, or a podiatrist in Schererville, or a podiatrist in Dyer, or a foot specialist or podiatrist in Gary, or a podiatrist or foot specialist in St. John, or a podiatrist in Highland, or a foot doctor or podiatrist in Cedar Lake, or a foot doctor or podiatrist in Griffith, or a podiatrist in Hobart, or a podiatrist in Hammond, or a podiatrist in Munster, or a podiatrist in Lafayette, or a podiatrist in Michigan City, La Porte, or a foot or ankle doctor in East Chicago or a foot or ankle doctor in Valparaiso, we are close, convenient and worth the drive! Our podiatrist Northwest Indiana office — foot and ankle doctor office — accepts most insurance, including Workers Compensation (Workman’s Compensation), Anthem, United Health Care, Cigna, Humana, UHC, Blue Cross Blue Shield BC/BS, Aetna, UHC, UMR, Unicare, Laborers, Highmark and more (click here for more information). If you are unsure about our podiatrist office (foot and ankle doctor office) accepting your insurance, please call our friendly insurance department team members at (219)663-2273 or email them at info@friendlyfootcare.com and they will be happy to help you. Or visit us at our conveniently located office and meet with our insurance staff any weekday. Our podiatry practice is on Broadway in Crown Point, just south of Merrillville. Nowadays many people do not have insurance or have poor insurance – our Northwest Indiana podiatrist office understands – we work with you! If you have a high-deductible insurance plan or no insurance (or you are under insured) and need to pay cash, our podiatrist Northwest Indiana office (foot and ankle doctor office) accepts cash payments and we offer an affordable cash price for most foot and ankle treatment or foot and ankle surgery, including ingrown toe nail surgery, foot orthotics and foot or ankle surgery. We accept all major credit cards, too! Most importantly, should you need an affordable, low-cost cash price or cash option or payment plan, we will work with you to make your podiatry treatment (foot or ankle treatment) affordable! Make an appointment now by CLICKING HERE or talk to us about our cash prices by calling (219)663-2273. Our Podiatrist Northwest Indiana Practice Helps all of Northwest Indiana & Beyond! Our award-winning friendly podiatrist Northwest Indiana practice provides state-of-the-art care for patients from all of Northwest Indiana. If you need a podiatrist in Northwest Indiana or need a podiatrist in Lake County or in Porter County, or a podiatrist in Schererville, Indiana, or a podiatrist in Merrillville, Indiana, or a podiatrist in Valparaiso, Indiana, or a podiatrist in Dyer, or a podiatrist in Gary, or a podiatrist in St. John, or a podiatrist in Cedar Lake, or a podiatrist in Highland, or a podiatrist in Griffith, or a podiatrist in Lowell, or a podiatrist in Hobart, or a podiatrist in Wheatfield, or a podiatrist in Hammond, or a podiatrist in Munster or in Michigan City, or a podiatrist in East Chicago or even a podiatrist in La Porte, we are close and worth the drive! Call us today! Laser surgery for plantar warts and other foot and ankle problems. Our foot doctors use tiny minimal incision arthroscopic surgery for foot and ankle arthritis. Our Podiatrist Northwest Indiana practice specializes in bunions and bunion treatment and bunion surgery. Revolutionary PRP (platelet rich plasma) treatment for heel, foot, ankle, and Achilles tendon pain. Click Here. Electronic Medical Records (securely encrypted) with online “portal” access. Heel pain and plantar fasciitis treated with the hi-tech Endoscopic Release Procedure. I.V. Sedation or “twilight sleep” is available for our foot surgery and ankle surgery Northwest Indiana patients. Foot drop correction and treatment. Specialized diagnostic foot and ankle ultrasound to accurately diagnosis podiatric problems. Our foot doctors often use “plastic surgery” techniques often in surgery – this means the scar is typically less visible. In-office digital x-ray, specifically designed for computerized analysis of heel pain, arch pain, and foot and ankle problems. Our podiatrists are skilled at alleviating nerve problems, neuroma and neuropathy. Swiss technique available for bunions, toe problems (including a hammertoe) and minimal incision surgery. Specialize in heel pain, arch pain, toe pain, ball of foot pain (neuroma pain), bunion pain, big toe pain, and hammertoe pain. As foot surgeons and ankle surgeons, our podiatrists surgically use artificial skin grafts and antibiotic impregnated beads to treat diabetic foot infections and a foot sore or wound, especially for diabetic infections (persons with diabetes or poor circulation). Our podiatrist office is open Saturday and evening appointments are available. Convenient Northwest Indiana location on Broadway, just south of the VA Clinic and across from Ace Hardware in Crown Point. Our conveniently located podiatrist Northwest Indiana office in Crown Point has ample parking, handicap access and easy to find. Most insurance and Workers Compensation accepted. All major credit cards accepted. We offer cash prices and affordable payment plans. If you need urgent foot treatment or a podiatrist in Crown Point, in Lowell, in Merrillville, podiatrist in Schererville, in Dyer, in St. John, in Cedar Lake, in podiatrist or foot doctor in Valparaiso, in Kouts, in Demotte, in Wheatfield, in East Chicago, in Gary, in Munster, in Portage, in Lafayette, in St. John, in Michigan City, in Hammond, in Hobart or in Northwest Indiana, call us today! We treat ingrown toenails, flat feet (fallen arches), heel pain, big toe pain & arthritis, corns, callouses, Achilles tendon & more! 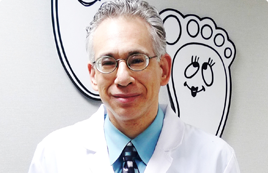 Voted Best Podiatrist by the Post-Tribune and Best of the Region by the NWI Times. Whether you have heel pain, a sports injury or an ankle sprain, if you need a podiatrist in Valparaiso, or foot doctor in Valparaiso or a podiatrist or ankle doctor in Merrillville, podiatrist in Schererville, podiatrist in Griffith, podiatrist in Dyer, podiatrist in Gary, podiatrist in Portage, podiatrist in St. John, podiatrist in Schererville, podiatrist in Highland, podiatrist in Cedar Lake, Hobart, Hammond, Munster, Michigan City, La Porte, East Chicago or Valparaiso call us today or make an appointment now – CLICK HERE! Our premier podiatrist (foot and ankle doctor) Northwest Indiana and foot surgeon, Dr. Nirenberg, voted “Best Podiatrist,” loves solving tough problems and has even helped assist law enforcement with the forensic analysis of feet, forensic gait analysis and shoe examination during homicide cases. He provides expert treatment for people with heel, foot & ankle pain, diabetic foot problem, flat feet; or an Achilles tendon tear, infection, hammertoe deformity, bunion (bunions), ingrown toenail, fungus toenail, plantar fasciitis, spur or heel spur, sports, athlete and running injury, neuroma (Morton’s neuroma); ankle sprain and renders foot surgery second opinions and much more. Our Northwest Indiana podiatrist office (foot and ankle doctor office) is here for you! We provide treatment of a sports injury, ankle sprains, a bunion or bunion surgery and just about every foot and ankle problem. Whether you need ankle sprain treatment or ankle pain treatment or ankle injury treatment or even a second opinion, our doctors are here for you! Our Dr. Nirenberg is an expert foot and ankle doctor — podiatrist — who has worked with the FBI and other law enforcement to solve tough foot problems in criminal matters. If you are looking for a Northwest Indiana podiatrist who enjoys solving heel, foot or ankle problems, you should see him. Dr. Nirenberg also enjoys providing the public with education of foot and ankle problems and has published in a variety of scientific journals. Whether you live in La Porte, Hammond, Dyer, Schererville, Valparaiso, Merrillville, Gary, Highland, Hobart, Portage, or elsewhere in Northwest Indiana or beyond, our podiatrist office is worth the drive! Award-winning foot and ankle doctor conveniently located on Broadway in Crown Point, Indiana. If you need foot or ankle treatment by an Indiana podiatrist in Schererville, Munster, Merrillville, Dyer, podiatrist in Valparaiso, East Chicago, Portage, Winfield, podiatrist in Gary, Highland, Cedar Lake, podiatrist in St. John, Michigan City, Lowell, Hobart, Wheatfield, Hammond, DeMotte, Griffith, Rensselaer, Laporte, Roselawn, Lafayette, Kouts, Chesterton or Northwest Indiana, our podiatrist office is worth the drive — call us today! Urgent foot treatment and urgent ankle treatment often available! Our Indiana licensed podiatrists (foot and ankle doctors) offer expert foot and ankle treatment. If you need a foot and ankle doctor in Northwest Indiana or a podiatrist in Schererville, or a podiatrist in Valparaiso, or a podiatrist in Schererville, or a podiatrist in Griffith, or a podiatrist in St. John or a podiatrist in Gary, in Merrillville, or a podiatrist in Dyer, in Portage or a podiatrist in Highland, in Chesterton, in Cedar Lake, in Hammond, in Munster, in Hobart, or in La Porte, in East or in Valparaiso or in Chicago, we are nearby and worth the drive! Call (219)663-2273 to see one of our expert podiatrists today! Should you need a podiatrist (foot and ankle doctor), feel free to go through our website, read our story, peruse our reviews, look at news stories about us, see our photos, read about Dr. Nirenberg’s forensic expertise (and forensic gait analysis) and read our commitment to your safety, education, answering your questions, performing foot or ankle surgery, making custom made orthotics (arch supports) and the many foot and ankle problems our doctors help alleviate. If you have an urgent foot or ankle problem or urgent foot or ankle injury, be sure to see us or a competent doctor promptly. Whether you have a sports medicine foot and ankle injury or diabetic foot infection or even a gout attack, your treatment is important to us and our foot and ankle team is here to help you! 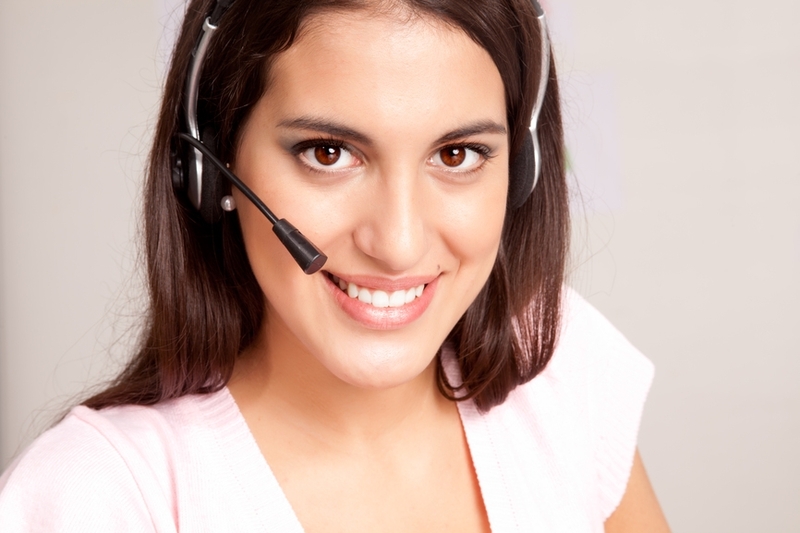 Please call us today at 219-663-2273 or make an appointment online by clicking here. 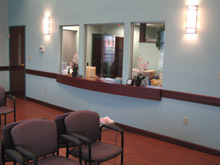 To learn our office hours click here or to learn about your first, new patient visit click here. To contact us click here or fill out our survey so we can get even better! Thank you! If you are Googling for a “near me” podiatrist or foot doctor, consider us. We may not be the closest “near me” podiatrist or foot doctor, but we will do our best to help get you on your feet and walking happy again! Since day one when I stepped into the Friendly Foot Care facility I was welcomed with a friendly smile. Dr Nirenberg and his staff are awesome. The care that I have been given is beyond words. I would recommend Friendly Foot Care to anyone. Keep up the good work and keep smiling.